Sister Edith Graham joined the staff of Ipswich Hospital in 1953. 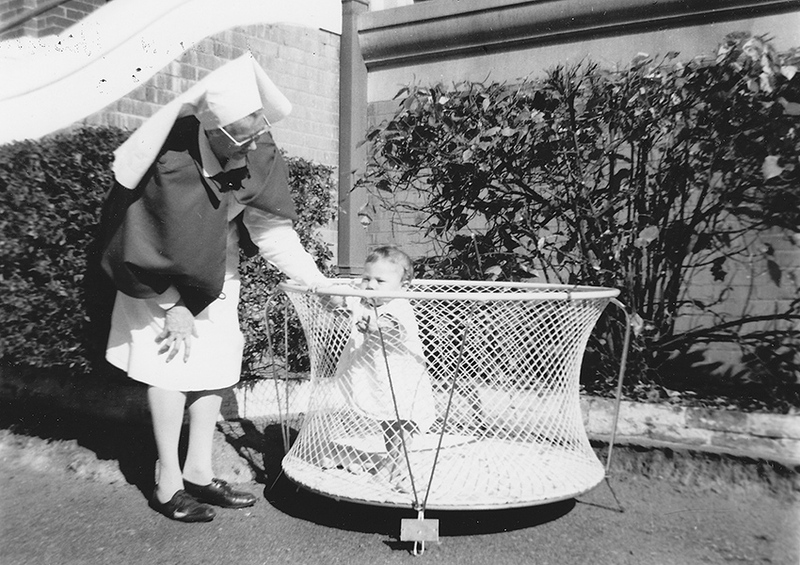 She moved to the Children’s Ward in 1955 and was appointed Sister-in-Charge, a position she held until her retirement in 1972. Sr Graham was fondly referred to as ‘Granny Graham’ by the student nurses, although it is understood that she did not approve of this nickname. Margaret McFarlane (Director of Nursing) wrote on Sr Graham’s service card that she gave “20 years of enthusiastic service in the area of paediatrics…[she] displayed a deep understanding of sick children’s needs but was impatient with parents’ fussiness”.